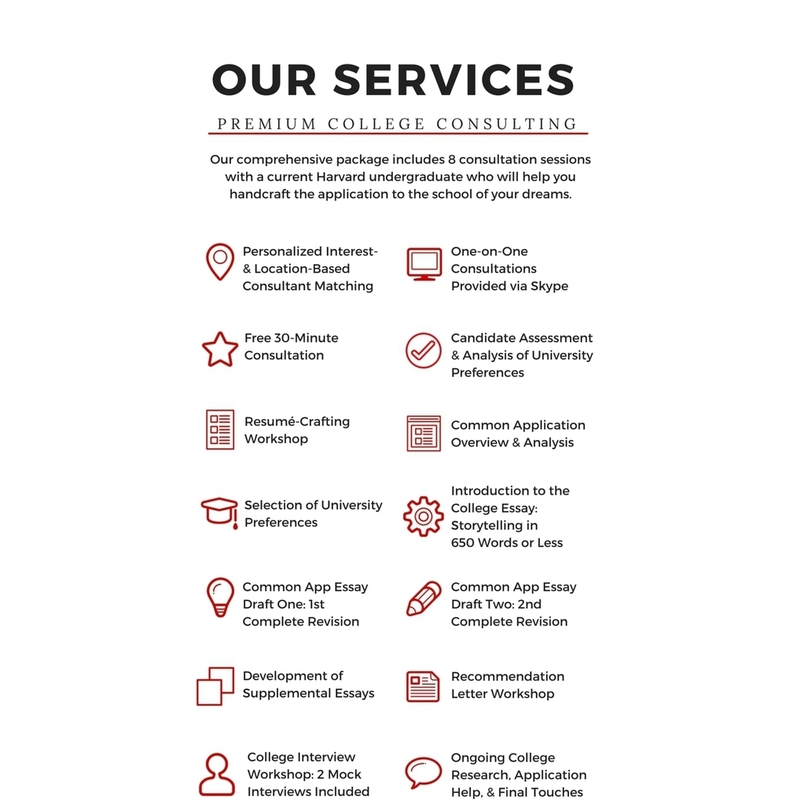 Harvard Square Consulting is a social enterprise dedicated to providing resources, guidance, and premium college consulting services to high school seniors during the college application process. We've selected the cream of the crop. All of our consultants are current Harvard undergraduates. during their own application process. Now they'll be able to pass their knowledge and insights onto you.